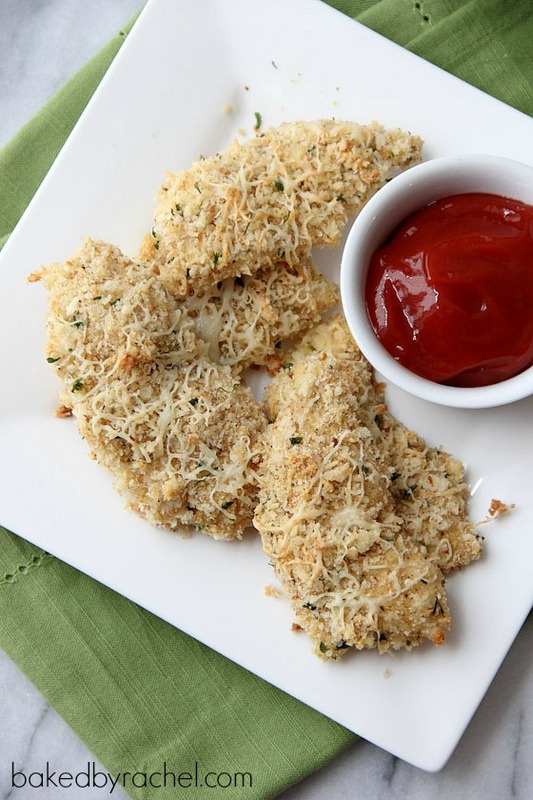 Easy homemade chicken tenders made even better with crisp Panko breadcrumbs and cheese. The entire family will love them. Can someone please explain to me why by the second week in July stores are already out of stock on typical summer gear and transitioning to back to school? I could sort of understand if we started school back up in early August but we don’t start until the last week. I was looking for simple things… boogie/paddle boards and kids floats! Nada… until I found a few lingering super hero boards in the seasonal area. It will always baffle me. I mean I get planning ahead and all but this is silly. The cashier at Old Navy was even teasing the people in front of us about still buying swimsuits. Still?! It just got warm up here! Still?! Now don’t get me wrong… I love fall and everything that comes with it, minus what comes after it, but I’m just starting to really enjoy summer. We finally got into the big pool. That’s huge. Even better news… it’s going to be the best swim summer to date because both of my girls can touch the bottom of the shallow end! My oldest can walk easily around and her little sister can tip-toe around safely. Super exciting. Clearly so not ready for summer to be over yet. So dear retailers, please hold off on all fall gear and transitions until the end of July… at least in the northeast. Thanks. I like chicken. Okay, I love chicken. I’ve always loved chicken. And to this day I still love ordering chicken tenders at a restaurant. Not that I go out to eat often anymore, but still. The Mr occasionally makes fun of me for it. Whatever… I like chicken fingers/tenders. They’re good and tasty and great for dipping. Finger food. Who doesn’t love finger food? You’d be crazy not to. 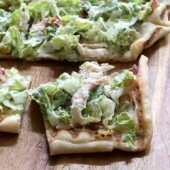 When I made these, I swear my children turned into vultures… more than usual. I finished taking pictures quickly and we sat down to devour these babies. Tender, crisp and full of flavor. The extra cheese really did take them to a new level of greatness. Cheese is just better. 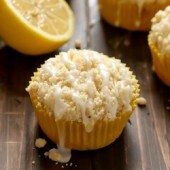 I promise these will be a hit in your house too! To one bowl add eggs and whisk well. To a second bowl add remaining ingredients minus half of the shredded cheddar cheese, mix well. Slice chicken breast into desired sizes. Coat one piece at a time in eggs. Transfer to breadcrumb mixture, coat well. Place on prepared baking sheet. Repeat with remaining chicken pieces. 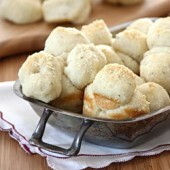 Lightly spritz with olive oil and sprinkle with remaining shredded cheddar cheese. Bake for 20 minutes or until no longer pink in the center. 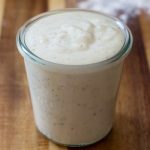 This recipe is definitely a saver! (Need to start bookmarking those kid-friendly ones!!) 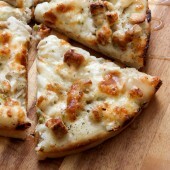 I love that you added cheese to the crust- it really makes everything better! Totally love these chickie tenders! Need these chicken tenders!! I am all about crispy and cheesy!! Oh and yeah, stores need to slow down and live in the present time. Not months ahead of everyone else! Seriously – so annoying. I expect to walk into a store tomw and see Halloween stuff. It wouldn’t shock me at this point. So much better tasting than the ones in the frozen section of the grocery store! ummm delicious!!! I could eat a ton of these! Yep, now you can buy Christmas cards at the store but not a boogie board because it’s July, it makes so much sense! At least this lovely chicken makes sense…my kids will love!! Right? If only we could put our foot down and say ENOUGH. But it’ll never happen. I know the feeling. It’s so frustrating to need summer stuff in the summer, and not be able to find it. These tenders look delicious!! Totally going to bookmark this recipe and make it for the family. I know we will love it! Right here – right now – absolutely! Even slightly ahead is okay but jeez. Panko chicken breasts are one of my favorite weeknight dinners and our recipe is pretty similar to yours – so simple, yet so tasty. 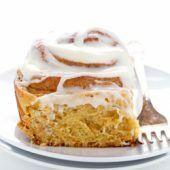 Yours look delish! I love quick and easy meals like this during the weekdays! These tenders look terrific! We love chicken tenders (especially my not-so-little boy)!!! 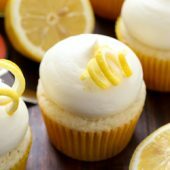 These look yummy!!! This would go perfect with my 3 cheese mac and cheese. There is something about chicken tenders we just love. So much better that the processed and packaged kind in the grocery stores!!! So absolutely true! I’m always scared what those will have in them. Love chicken tenders! 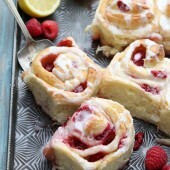 This recipe looks so simple and delicious! That’s what I hate about this tie of the summer. Retailers already are planning for it to be over! Talk about depressing. Rachel, I love these chicken tenders! We make baked chicken tenders all the time here and I would love to try yours next! I love chicken fingers, too. Mostly because I hate dealing with bones, but also because I love dipping sauces. Cheese is pretty much my favorite, so I bet these are going to be awesome. Seriously – so much easier bone free! 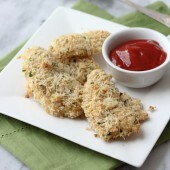 I absolutely love oven baked chicken tenders with panko. My kids devour that kind of stuff, too…and so do I! They look delicious. Smart kids (and mom!) :) Thanks Marcie! You had me at two cheese! Agreed…It’s definitely NOT time to be thinking about fall yet! I can’t believe how fast the stores shipped the summer stuff out! 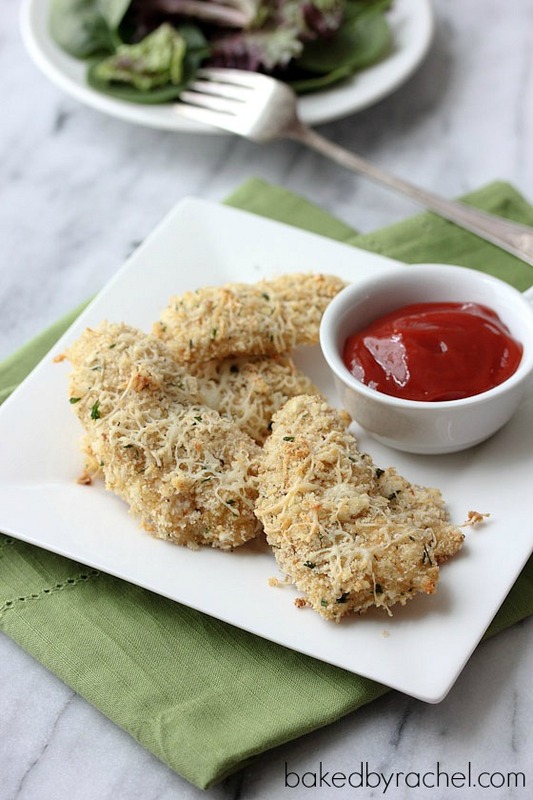 My kiddos love panko chicken tenders…I”m going to have to try your recipe–they sound great! 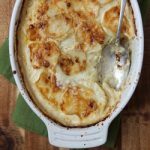 I love quick, easy meals and these look like a must try with the 2 types of cheese! I need more chicken fingers in my life!! The panko sounds great and totally crunchy! 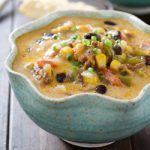 One of my favorite weeknight dinners for sure! Delicious! I am always looking for new ways to cook chicken and this looks like an awesome recipe! Glad I stmbled on your blog today! I have to try making these for my little brother! He LOVES crispy/ cheesy chicken fingers! And well, these look awesome. Big fan of panko bread crumbs! I feel like they give you the taste of fried foods without deep frying anything. I would turn into a vulture when presented with a plate of these, too! Awesome that there are two kinds of cheese, yum. Crispy chicken fingers! Can’t beat that! gahhhh the crust on these looks sooooo good! I love chicken tenders still, too! Sometimes I order them for my toddler so we can share :) These look great!